Jayon Inc provides training and consultancy services on digital marketing to businesses and start-ups in South East Asia. Dr KF Lai is an entrepreneur with over 20 years of experience in digital marketing and startup investment. He founded and grew BuzzCity into a global mobile advertising network before the company was acquired in 2016. 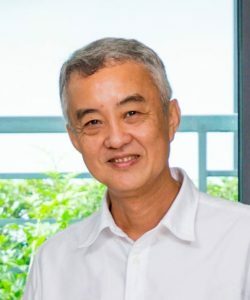 KF is currently adjunct professor at the National University of Singapore and Southern University College Malaysia, where he teaches digital marketing and mentors start-up companies. KF is a published author and songwriter in the Chinese language (site), with a large and growing community of global readers. In his free time, KF volunteers at the Dover Park Hospice, where he plays the piano weekly. © 2018 Jayon Inc, Singapore. All Rights Reserved. Contact Us.